I offer Reiki/ Energy Healing Sessions and House Clearing Services. I love being able work with energy healing because it’s a very beautiful and powerful way to help people heal. It uses pure universal energy, so the healing path is often unexpected. It’s never a formula, which I find inspiring to witness and be a part of. And I love doing house clearings for a couple of reasons. One is that I feel it’s so important to have your home feel like a sanctuary and be energetically clean – your sleep, your energy, your relationships can all be impacted when your space is not clear. And two, I am continually fascinated by the paranormal and what I find in the spaces that I clear. I love the process of looking at the land/house/rooms/walls/ & foundation, clearing out what doesn’t belong, bringing light to darkened spaces, and teaching the house boundaries and energy flow. It’s just the coolest thing ever to me. I love it. 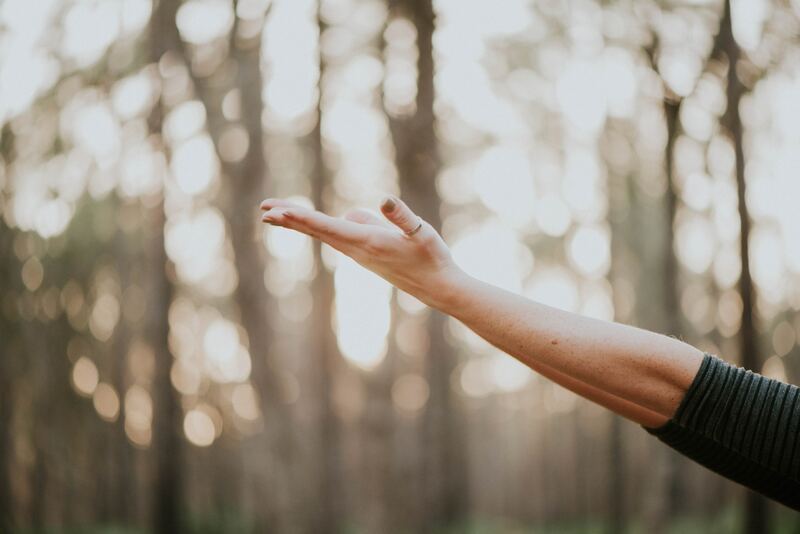 With healing sessions, I use a number of modalities – Reiki, Chakra balancing, light weaving, and my approach, aside from clearing blockages, balancing, and helping shift & release, is to help each client feel supported enough to stand in their own truth and to know they have the power to heal themselves through their own personal lifestyle changes. With house clearings, I burn a resin and go throughout the house – around the thresholds, windows, electronics, corners, furniture, etc. I use my intuition to identify things such as if there’s an entity that needs removed, a ghost that might need crossed over, or a place where the energy is simply stagnant and needs more flow. Within the first 5 minutes of my first Reiki class, I knew I had found my passion. I had a session with an intuitive many years ago and he told me that I was an energy healer and that I should take a Reiki class. And I had the good fortune of finding an amazing teacher to learn from who has been a mentor to me for many years. How amazing it feels to flow energy. And the work I do is not as “out there” or “woo woo” as some people think. Watching other people learn to work with their energy and shift away from outdated patterns and create a more soul directed life. People who are authentic and have the courage to live their soul’s truth. These people radiate an infectious ease that inspires me. 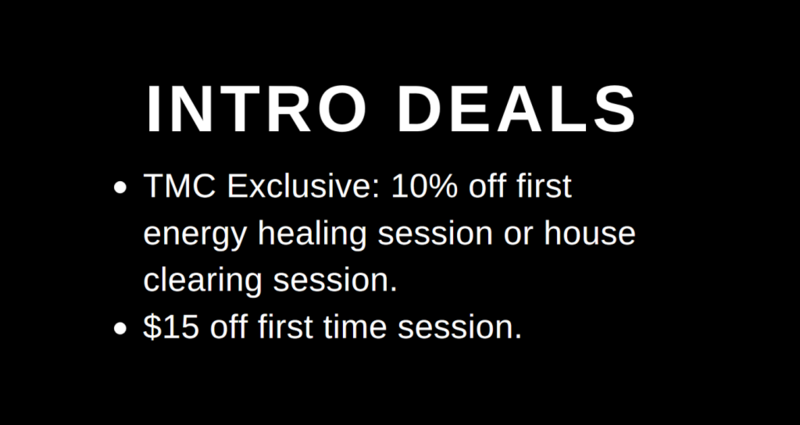 Rates: Energy Healing Sessions are $125 for 60 minutes | House Clearing are $125 per hour. Availability: Monday’s and Wednesday’s for healing sessions 11:30am – 5:30pm. I love the work that Dina does. Her office is calm and inviting and it is easy to tune into Dina’s quiet vibes. In the middle of a reiki session, it’s amazing to feel the flow of energy. I actually see colors behind my closed eyes and feel the heat from her hands. She soothes my restless spirit and afterward, I am so creative! Dina has also cleared my house. I still remember the dream I had that night of lying on a wide, deep bed under a shelter while listening to gentle rain. I don’t know why it works, but it does, beautifully.